"I think it's implicit. Small businesses are a core part of everyone's community, whether you're a consumer or a business owner. We have data from last year that says 52% of the money you spend at an independent business stays in your community. That's part of why customers are interested in supporting independent businesses. 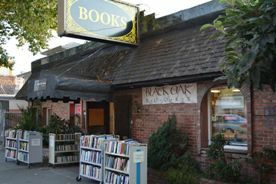 Often, even, it's just a history of life moments that include small businesses--and probably even especially bookstores." --Katie Washington, director of Shop Small and Small Business Saturday at American Express OPEN, in response to Bookselling This Week's question: "What do you think has made Small Business Saturday so popular both among small businesses and their customers?" Baker & Taylor, lead sponsor of the April 2015 ABC Children's Institute, has awarded scholarships to one ABA member store attending each of this fall's eight regional shows, Bookselling This Week reported. The scholarships cover the costs of airfare or ground transportation up to $400, two hotel nights plus tax, and the Children's Institute conference fee (an $800 value) for one bookseller from each winning store. The ABC Children's Institute will be held at the Hilton Pasadena April 19-21, immediately following the Los Angeles Times Festival of Books. The Southern Independent Booksellers Alliance selected Citizens Creek by Lalita Tademy (Atria Books, Nov. 4) for One Book, One South, "a Southern-wide book club discussion taking place at independent bookstores across the South and online at ReaderMeetWriter.com." During November, indie booksellers and ReaderMeetWriter.com will sponsor discussions about the novel, culminating in a live q&a with the author on the ReaderMeetWriter Facebook page November 20. BookExpo America is seeking submissions for BEA Adult Editors' Buzz, BEA Young Adult Editors' Buzz and BEA Middle Grade Editors' Buzz sessions. Officials noted that Buzz submissions "require extensive review, and while there is a hard deadline of December 5, 2014 the sooner submissions are received, the better." All participating and exhibiting publishers at BEA are encouraged to send their submissions in as soon as possible. Guidelines are available on BEA's website. For more information, contact Sally Dedecker. BookExpo organizers also said information about other author submissions (for Author Breakfasts, Author Stages, etc.) will be forthcoming, but Editor Buzz submissions are the current priority. Bob Nelson, owner of Reiter's Books, Washington, D.C., died October 17. He was 82. On the store's website, manager Daphne Gaskins wrote that "our owner and dear friend" began working at Reiter's in 1957 and, with his wife Barbara, purchased the store from Al Reiter in 1974. "All of us who have worked at Reiter's over the years have special memories and stories to share," Gaskins observed, adding that Nelson "taught me that no matter how busy you think you are at the moment, it is best to take a little time to clear your head and get a better idea of the big picture. He is one of the reasons why I love independent bookstores." A memorial service for Nelson will be held November 8. Raleigh Trevelyan, who worked for publishers Collins, Jonathan Cape and Michael Joseph, died October 23, the Bookseller reported. He was 91. Trevelyan also wrote several books, including the wartime memoir The Fortress: A Diary of Anzio and a biography of his ancestor Sir Walter Raleigh. 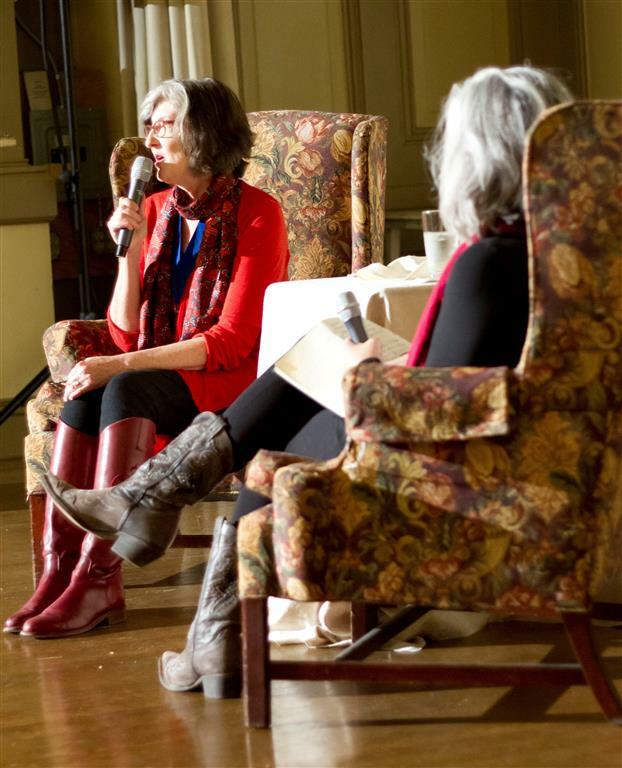 Author Barbara Kingsolver addresses the audience in an interview during the Library of Virginia's Literary Awards Luncheon at the James River Writers Conference, held earlier this month in Richmond, Va. In a new video, author John Green "talks about why kids need diverse books, and his first impressions of the We Need Diverse Books campaign. He also addresses the pressing need to get these books in the hands of the young readers who will benefit from them the most, and discusses the diverse books that touched him as a youth." As a part of its preview for #LoveLocalSF, a city-wide celebration of San Francisco on November 5, SFGate featured a slide show of "great independent bookstores in the Bay Area" in anticipation of the day that will "honor all of the things that make our great city so unique--be it our diverse communities, our eclectic history, our trendsetting nature or our commitment to innovation." New York City "reasserted its dominance in at least one corner of the literary universe" this week during the fourth annual "battle of the book sorters," the Times reported. The massive mechanical sorter shared by the New York Public Library and Brooklyn Public Library "sorted 12,570 items in an hour, while a similar behemoth belonging to the King County Library System in Washington state sorted a mere 11,868." "The laid-back atmosphere of Seattle got a real taste of fast-paced New York today," said Salvatore Magaddino, deputy director of the Book Ops facility in Queens, which houses the sorter (Watch it in action here). "We proved to our friends and to the world that we are the fastest sorters, which means our patrons get their books faster than anyone!" Congratulations to Lee Miller, who is retiring today as v-p of sales, publishing, at Courier Corp. He's been in the book business for 35 years, the first half on the retail side, including a stint as owner of the Evergreen Books bookstore in Sudbury, Mass., and the second half in publishing, including as v-p of sales at Globe Pequot Press. He says he's taking the next year to travel and figure out what's next. We've been lucky enough to know him for many years so we know that wherever he goes and whatever he does, it'll be fun and rewarding and special. Stay in touch! Lee can be reached at bookmiller@aol.com. Penguins with People Problems by Mary Laura Phillpott (Perigee), which began as a tumblr account, therandompenguin, speculating on what the name for the merged Penguin Group and Random House would be (Penguin Random House won out, of course). The book, to appear next June, is serving as the decorating theme today for Tarcher & Perigee at Penguin's always legendary Halloween party. Today on a Fresh Air Halloween special: Stephen King. Tomorrow on CNN's Fareed Zakaria GPS: Diane von Furstenberg, author of The Woman I Wanted to Be (Simon & Schuster, $26, 9781451651546). Olive Kitteridge, based on Elizabeth Strout's 2008 Pulitzer Prize-winning short story collection, airs Sunday on HBO at 9 p.m. and continues Monday at 9 p.m. The miniseries stars Frances McDormand, Richard Jenkins, Bill Murray, Rosemarie DeWitt, John Gallagher Jr., Peter Mullan and Zoe Kazan. It is directed by Lisa Cholodenko (The Kids Are All Right). McDormand, who was also executive producer and had worked with Cholodenko previously on the film Laurel Canyon, "was instrumental in translating Olive and Henry's story--which begins in their middle age and spans four decades--from the page to the screen: She optioned the book rights, convinced longtime friend Jane Anderson to adapt the screenplay and recruited Jenkins to play Olive's mild-mannered, affable husband," THR wrote. The action-packed final trailer for The Hunger Games: Mockingjay, Part 1 "has arrived and shows off a lot of new footage," Indiewire reported, adding that new magazine covers, photos and a TV spot have also been released as the anticipation for the movie's November 21 release draws closer. Jennifer Lawrence also stars (with Bradley Cooper) in Serena, based on the novel by Ron Rash. Indiewire noted that a U.S. trailer and featurette are now out for the movie, which is currently playing in the U.K. and comes to the U.S. on VOD February 26 and in theaters March 27. The Blood Telegram: Nixon, Kissinger and A Forgotten Genocide by Gary Bass (Knopf) has won the 2014 Asia Society Bernard Schwartz Book Award, which recognizes nonfiction books for "outstanding contributions to the understanding of contemporary Asia or U.S.-Asia relations." Bass will be honored and given a $20,000 prize at the Asia Society in New York City on December 9. Jury co-chair Carol Gluck, George Sansom Professor of History at Columbia University, commented: "The Blood Telegram is a compelling account of the origin of the independent state of Bangladesh in 1971, showing how the United States acted in its own national interests in the context of Cold War geopolitics to deal, or rather not to deal, with the mass atrocities and humanitarian crisis in East Pakistan." Jury co-chair Tommy T. B. Koh, Singapore's Ambassador-at-Large, added, "Gary Bass's book shines a strong light on the tragic events which took place in 1971 in what is now Bangladesh. The book forces the reader to think hard on such important questions as the competition between morality and state interest in foreign policy." Ceridwen Dovey's short story collection Only the Animals won the inaugural $4,000 (US$3,520) Readings New Australian Writing Award, which was established by the Melbourne indie bookstore chain Readings to support authors of a debut or second book of literary fiction and to recognize "exciting and exceptional new contributions to local literature." The Award "aims to increase the promotion and commercial success of books by Australian authors, earning them greater recognition from the wider community," according to Readings. The judges described the winning title as "a rare beast--a work of fiction that is not only richly imaginative, but also intelligent, ambitious and universal in theme. Ceridwen Dovey has created a book that wears its literary antecedents--Kafka, Colette, Woolf, Coetzee--lightly, but with each story she proves that Only the Animals belongs in this sort of company." The Readings New Australian Writing Award shortlist also included After Darkness by Christine Piper, An Elegant Young Man by Luke Carman, Foreign Soil by Maxine Beneba Clarke, The Night Guest by Fiona McFarlane and The Tribe by Michael Mohammed Ahmad. Martin Shaw, books division manager at Readings, wrote in the Guardian that the genesis of the award came from a concern that "some writers in their early careers deserved some special recognition for exciting and exceptional work." 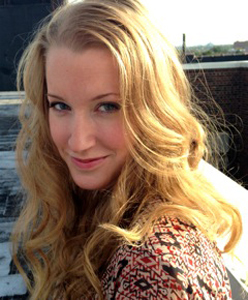 Kristen Radtke, marketing and publicity director for Sarabande Books, is also a writer and illustrator who is working on a graphic novel. She received her MFA from the University of Iowa's Nonfiction Writing Program and lives in New York. Find her criticism online at the Daily Beast, Buzzfeed, Oxford American, Huffington Post and the Rumpus. She tweets @kristenradtke. I've read the graphic novel This One Summer by Jillian Tamaki and Mariko Tamaki three times in the past two days. The word "beautiful" is woefully insignificant. Everyone should read it immediately. All I wanted to do as a kid was read and draw. I hated sports or being outdoors and preferred the quiet of my room. I remember going on summer vacations to lakes throughout the Midwest with my family and intentionally getting badly sunburnt on the first day so that I had an excuse to sit inside, out of the sun, and read for the rest of the week. I did a lot of sneaky reading, books my mother didn't think were appropriate, hiding romance paperbacks and thrillers inside historical fiction hardcovers. I've never felt more attached to books than I did as a kid--the characters were just so real. There's something irreclaimable about early reading experiences. It's as if there are these whole worlds no one ever told you existed, and when you find them it feels as if you're the first one. It's all very private. I don't think I could pick a favorite book--I loved everything I read. Today? Joan Didion, Virginia Woolf (as an essayist, not a novelist), Susan Sontag (the same holds true here), James Agee and Georges Perec. I've pretended to read more books than I can count. I've never actually taken a real literature course, even in high school, so my reading of classics has been self-motivated, and I've huge gaps in my repertoire for that reason. I used to just nod along when someone mentioned an author or book I hadn't read; now I'm a bit better about coming clean. I still feel guilty that I haven't read Jane Eyre. One of the best--and worst--parts of being a publicist is working on books you truly love. It's great because the impulse behind every e-mail you send to a critic and each pitch letter you write is fueled by the sense that the work you're doing really matters. It feels very personal to be partially responsible for the success of a book you believe in, but that's a curse, too. I've had uncountable nightmares about badly written jacket copy or negative reviews or botched author tours. Right now, I'm lucky enough to be publicizing a book about a woman who infiltrates the world of cage fighting. The intensity I feel for brilliant nonfiction is certainly something close to religious. It's ferocious and almost maternal. I probably never would have started drawing comics and graphic essays if I hadn't read Alison Bechdel's Fun Home in college. She was the first writer and artist I encountered who taught me I could process ideas and experiences through text and images, and that they could work together in a way that brought my and a reader's thinking to a whole new level. There's often a misconception that comics can't be literature, or even literary, and Fun Home was the first book I read that slapped that notion in the face. Fernando Pessoa's The Book of Disquiet. A Portuguese writer who died in 1935, he wrote under dozens of personas in radically different styles, and those personas wrote letters to each other and reviewed each other's books. The Book of Disquiet was found in loose, unnumbered sheets of paper in the trunk of his car after his death, so the construction of the book varies vastly based on the translation. It becomes a different book every time. Domingo Martinez (National Book Award finalist for his memoir The Boy Kings of Texas) continues his personal story of anxiety, excessive drinking and love shortly after the events at the close of his first book. His ex-fiancée, Steph, is in the hospital, suffering from traumatic brain injury, as she plummeted off a highway embankment after having an epileptic seizure while driving. Stressed out and unable to sleep from the pressure of helping Steph and her family, Martinez starts his tale with the lowest point in his life: when he tried to end it. "I'd been in another hospital myself, three days earlier, after ripping one of my arms to shreds in a psychotic break at 3:00 a.m., alone in my own bathroom. A combination of Xanax, some SSRI that had kept me awake for four days, and a steady intake of gin--gin to quiet the shouting in my head, gin to thicken my terror to a sludge, gin to drown out the crushing sense of guilt I felt the moment I awoke during those rare times I could actually get about twenty continuous minutes of sleep--gin, which turned the Xanax and the serotonin inhibitors into assassins, and I finally gave up, found an old-fashioned double-sided razor blade and went at my left wrist, working for the one deep cut that would end it, end all of this, in a bathtub, alone in darkest, wettest February, as I sucked down one last Pabst Blue Ribbon for courage, or self-pity." Martinez then hops around his own timeline, reflecting first on the influence he might have had on his youngest brother's addictions--Derek almost died after drinking too much--and then his relationship with Steph. In their love/hate connection, everything was always a bit skewed and arguing was part of their foreplay. With passion and profound honesty, Martinez holds nothing back as he interweaves his own downward spiral with tales of his Mexican-American family, his interactions with his social circle, his work and his fraught bond with Steph, a combination of events that trigger his suicide attempt. Shelf Talker: When a man reaches the bottom of the barrel of life, he can either stay there or fight his way up; Domingo Martinez is a fighter. "Getting Out of Your Own Way--Turning 'No' into 'Yes.' " wins my unofficial award for best educational programming session title of the year. Held during the Mountains & Plains Independent Booksellers Association Fall Discovery Show in Denver, the panel featured Julie Wernersbach of BookPeople, Austin, Tex. ; Katie Rothery of the Tattered Cover Book Store, Denver, Colo.; and Jeremy Ellis of Brazos Bookstore, Houston, Tex. "No" is a word indie booksellers try to avoid as much as possible. It isn't just about the pain of a customer rejecting your best handselling technique for a book you love. In fact, that's a moment when "no" is simply a catalyst to introduce alternative titles in a never-ending quest for the exquisite response: "That sounds amazing. I'll try it!" Specific book requests are another issue altogether. Consider the moment of retail tension when a customer asks for a particular title (or uses words, sounds and even gestures to approximate the particular title). The ideal, of course, is to be able to say, "Yes, we have that in stock." But this is a numbers game, and more often than not booksellers have to find a way to magically transform a cold "no" into something resembling a soothing, hopeful "yes." Rothery observed that one key to this is "coming up with creative ways to say yes. They don't have to know that you're jumping through hoops," and Ellis noted that Brazos "has a solve-the-customer's-problem policy." "It's all about the language," Wernersbach agreed, suggesting, for example, that after checking distributor inventory in the computer for a book not on your shelf, a bookseller could say, " 'We have it in our warehouse,' making it sound like you actually have it in your universe." Another option--"The book is on its way." --was recommended by Ellis, who added that it is not an ethical issue to leave the supplier's precise geographic location out of the conversation, since "the ethics of the bookstore are to keep the business alive and vibrant." If the customer is still hesitant to order, Rothery suggested telling them: "You're not obliged to buy it." Whatever your strategy, being concise and direct is the key, according to Ellis: "The more words you put into that conversation from the first request, the farther away you get from the solution." Out-of-print titles present another dilemma, especially in an age when Amazon has gobbled up many of the traditional OP sources like Bookfinder and AbeBooks. Rothery noted that one way of saying "yes" in this case is redirecting customers to Powell's or Alibris, while Ellis said he tries to order OP books when possible. And how do booksellers turn "no" into "yes" for the ever-increasing wave of self-published authors at their door requesting shelf space and events? This question drew a roomful of empathetic nods, as well as several comments about the importance of having a program in place and following strict guidelines. Arsen Kashkashian's pioneering Boulder Book Store consignment policy was mentioned as a model many have adopted or adapted. 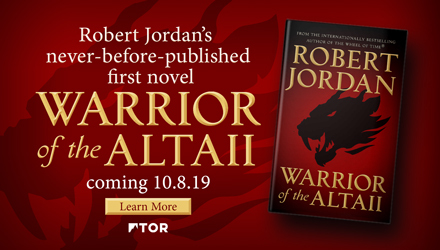 Rothery noted: "We want to support self-published authors, but we limit it to Rocky Mountain authors." Sometimes, of course, "no" can be an inside job, showing up in discussions among bookstore staff members. This can be especially true when new ideas are presented for consideration. Tattered Cover "is just trying to get rid of 'no' from our vocabulary," Rothery observed. When he arrived at Brazos three years ago, Ellis said, "I didn't pay attention to the history of 'No, it's always been this way.' " He cited as an example the traditionally low sales figures during summer months and his proposal to "take the idea of summer and market it as we did Christmas." Utilizing postcards, children's programming and more, including a Summer of Proust celebration that featured the Brazos Book Group reading Swann's Way, the strategy resulted in a "huge boom for our summer business." Wernersbach mentioned two recent initiatives at BookPeople that met with some early resistance. One was National Bookstore Day for the BookPeople Nation: "I got a lot of no's initially at the store, but I said, I'm just going to try it and everybody got on board." The other idea was inspired by the "Trust Fall" promotion created earlier this year by Jill Hendrix of Fiction Addiction, Greenville, S.C. For its variation on the theme, BookPeople chose Emily St. John Mandel's Station Eleven. "Seeing our buyer's enthusiasm, we all got into it," Wernersbach said, adding: "A lot of saying yes in what I do is saying it might fail, but that's okay."